This race has been around for over 100 years. It is a big field and it can be hard to race with all the people on the course, but it is a fun event. Unless you are seeded just don't expect to run a good time. 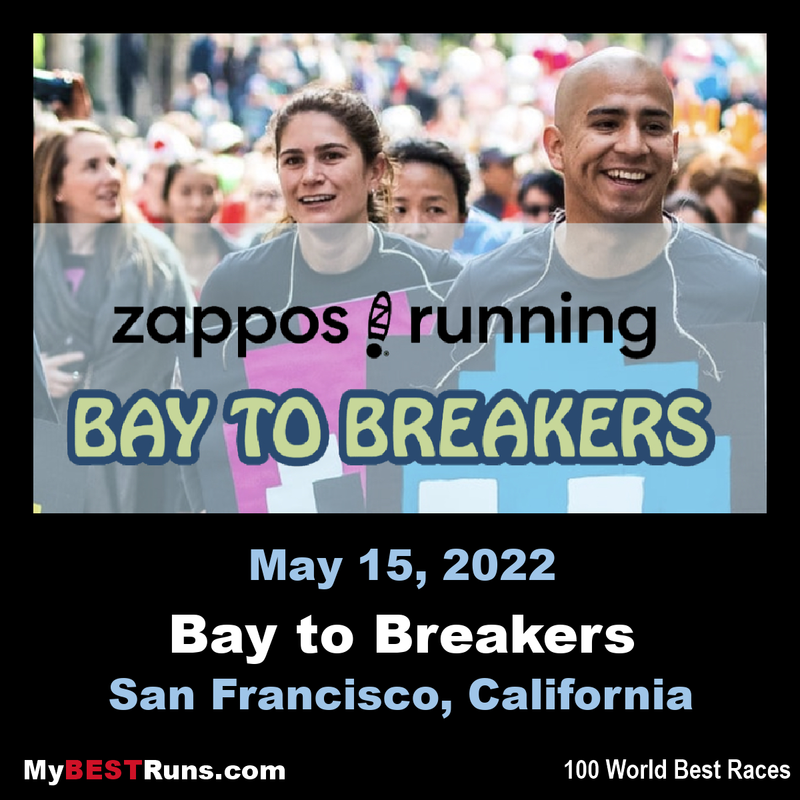 Kenya's Philemon Cheboi and Ethiopia's Buze Diriba won the men's and women's divisions, respectively, at Sunday's Bay to Breakers 12k race in San Francisco. 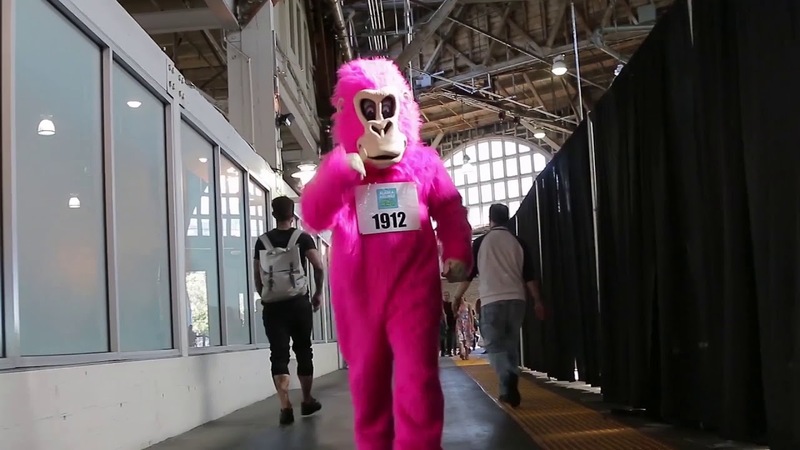 The 106th running of the race drew a huge crowd of people to the course, with 50,000 runners or walkers participated and another 150,000 spectators. 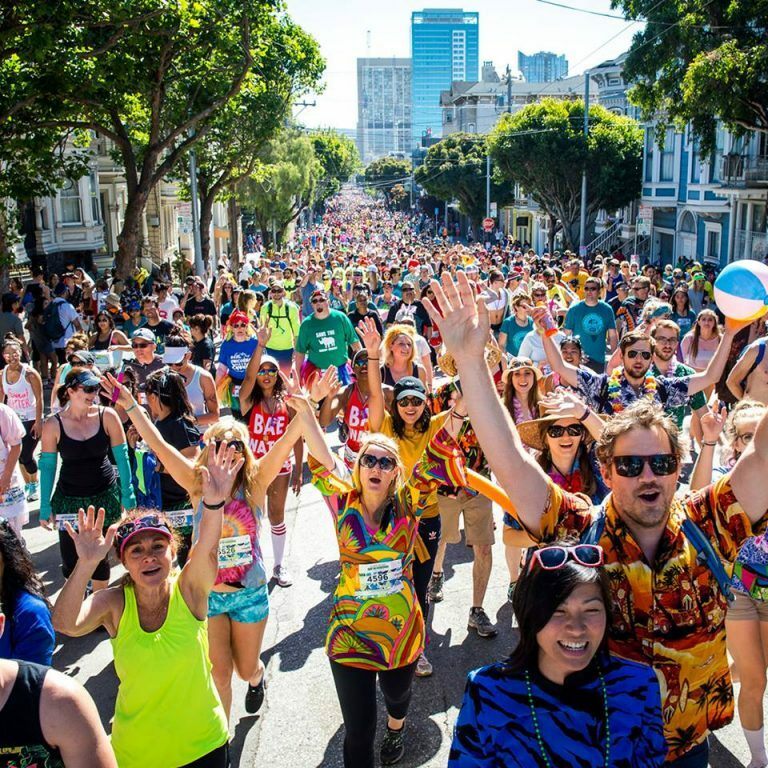 The Alaska Airlines Bay to Breakers 12K race runs west through the city and finishes at the Great Highway along thePacific Coast’s Ocean Beach. Participants run up the iconic Hayes Street Hill, along the Panhandle and through Golden Gate Park, while the city of San Francisco cheers them on.